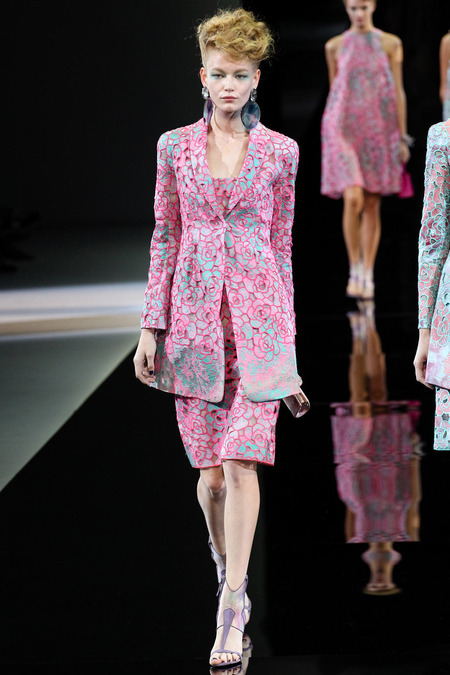 Armani’s Spring-Summer 2014 runway show was yet another great example that he understands what women want… The collection was about “a woman who’s free to fly but can carry her own weight, gentle but gutsy”…The gutsiness was summed by city suits: jackets and shorts or wrapped skirts. The freedom to fly was represented in sheer fabrics choice and final outfit appearance that was like a billowing highwayman’s cape of silk. “The press always needs a clear message,” said Giorgio at the media conference that followed his show…and he once again gave that clear message on the runways of Milan Fashion Week…his women looked absolutely stunning, sophisticated, and elegant….’very Armani’! This entry was posted in Runway reports, Travel by modisteblog. Bookmark the permalink. David and I are enjoying this blog…wow! 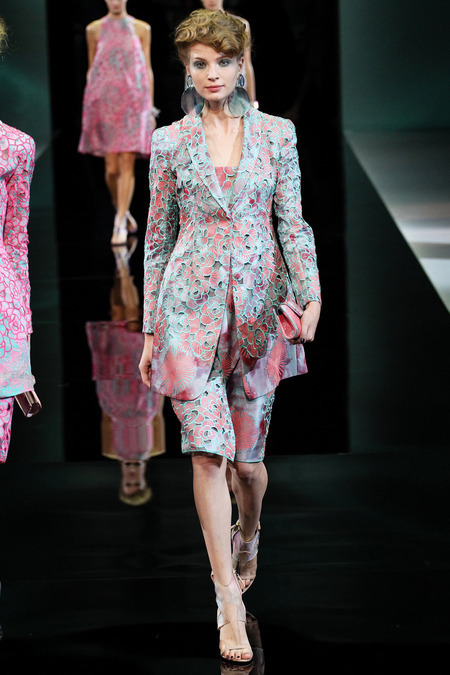 Giorgio Armani!